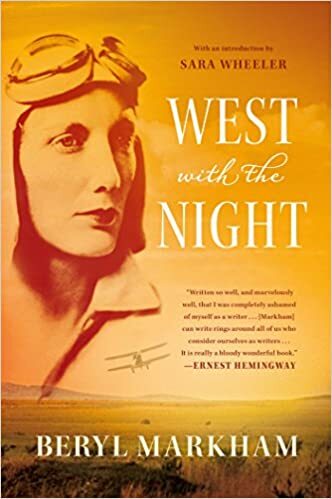 With a new introduction by Sara Wheeler―one of Markham's few legitimate literary heirs―West with the Night should once again take its place as one of the world's great adventure stories. valley. There were no clouds and the sun started down on the plain making heat waves rise from it like flames without colour. The Equator runs close to the Rongai Valley, and, even at so high an altitude as this we hunted in, the belly of the earth was hot as live ash under our feet. Except for an occasional gust of fretful wind that flattened the high, corn-like grass, nothing uttered — nothing in the valley stirred. The chirrup-like drone of grasshoppers was dead, birds left the sky unmarked.